Mold Remediation Services | Mold Testing | Kleen Breeze Inc.
Have you spotted mold in your home or commercial property? Recently had water damage? Or maybe you’ve noticed that you or a family member have frequently been feeling unwell and can’t figure out why. Maybe it’s time to associate those symptoms with mold exposure and poor air quality. Either way, it’s time to give us a call! Kleen Breeze is your leading mold testing and mold remediation company in Wilmington, NC. We care about our community and deliver only the best results to make sure the air in your home is healthy and stays that way. Kleen Breeze is fully certified in mold testing, assessments, and remediation services. With many years of experience and expertise, along with the skills and tools required to provide a full spectrum of treatments, we are the one-stop company for all of your mold removal needs. Using the latest technologies and equipment, we can identify mold throughout all areas of the property (including external spaces) in the fastest possible time. Our testing samples are processed by Inspector Lab for accuracy and quick turnaround times. Whether the mold is localized or has spread to various parts of your home, Kleen Breeze is here to help heal your sick home. 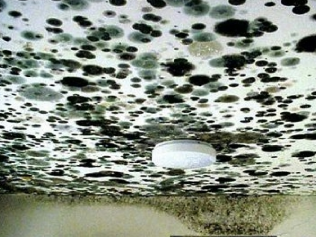 While many home issues can be filed under the “I’ll do it when I get a chance” category, you simply cannot afford to ignore the threat of mold contamination. The harsh reality is that leaving the issue untreated can seem like a minor issue at first but can turn into a very serious situation. Damage can extend to furniture, wallpaper, and other materials throughout the home. Mold exposure puts your family, clients, and employees at risk. 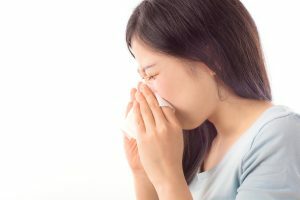 Given that mold is particularly dangerous for children, seniors, and those with existing health problems, it’s vital that you seek support right away. If you’ve had water damage or are noticing a musty smell in your home, don’t wait to contact us. Time is of the essence when it comes to mold in your home. We will promptly inspect your home for any contamination. If there is work that needs to be done then the estimate will be free of charge. When we determine the source of the mold, we are just as prompt in treating your home for a fair cost! Call us today at (910) 405-8125!